When brides think of wedding veils, a long pouf of tulle is what often comes to mind. But these stunning untraditional wedding veils are far from ordinary; their beauty lies in intricate and elaborate designs that are handmade and truly luxurious. While a wedding veil can make a statement on its own, these untraditional wedding veils are designed to complement the wedding dress for a full head-to-toe look that’s absolutely wow-worthy. For the fashion-forward bride that’s looking for something unique, consider one of these untraditional wedding veil ideas. 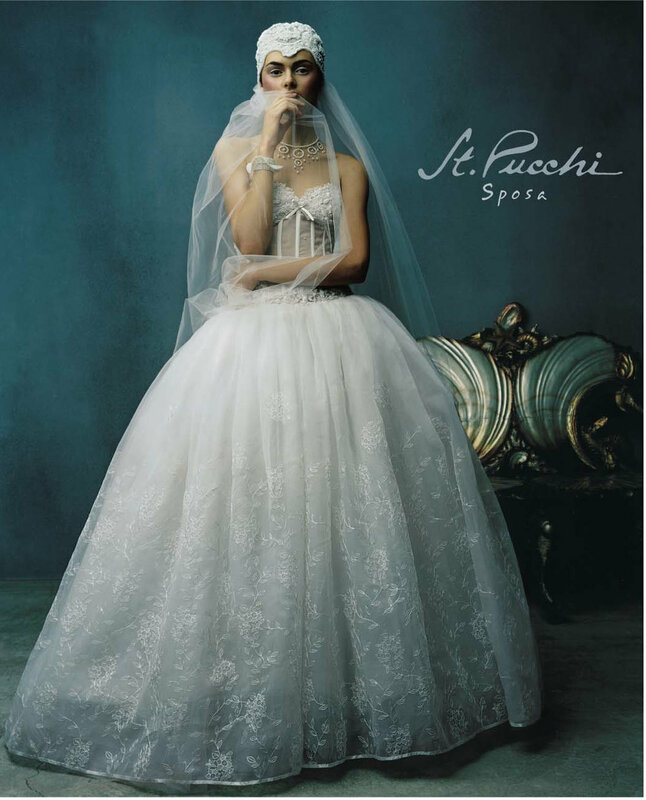 This St. Pucchi wedding dress features beautiful piping, a detail that is carried into this untraditional wedding veil. Beautiful, lace handwork adorns this wedding veil which perfectly complements the lace and flowers featured on this ivory wedding dress. Love this lace look? Check out even more beautiful lace wedding dresses here. A wedding veil doesn't have to only incorporate floral or lace detailing; this untraditional wedding veil mirrors the detail on the wedding dress with a beautiful circle motif. Would your wear an untraditional wedding veil?